I learned my my dear friend J L Thomas is now with the Lord. This letter is my tribute to this outstanding man of God. I met J L Thomas during one of Josh McDowell mission trips in Moscow Russia over two decades ago when I worked as a translator. I was a new believer, a student and a young lady raised by three generations of divorced women. By God’s providence I ended up working for the team J L was in. Right from the first day we met, we became friends. J L shared his testimony, how he was struggling after the death of his dear wife and how God spoke to him through the message on the radio. He responded to Josh McDowell’s call to bring the Gospel to Russia. And his depression left him. J L was God’s servant. I believe Our Heavenly Father placed him in my life to strengthen my faith and show me the life of a godly man. As he shared about his extended family I could not but be amazed at the hand of God on his life. When I visited him in the United States in 1996 and met his son and daughters, I saw their love and respect they have for him. J L encouraged and challenged me by his example of following God, living for His Kingdom. He adopted me as his Russian daughter and took the place of my absent father, rejoiced with me when I graduated, counseled me on the marriage partner, disapproving of one young man and giving his stamp of approval on my husband-to-be. He visited me to see our fist born son. We have been keeping in touch. I have always felt loved and cared for by J L and Carlene. This love is supernatural and it comes from God. 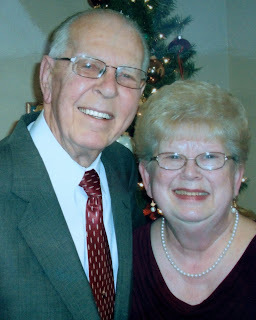 I am deeply thankful for their love and friendship, prayers and influence on my life. JL Thomas was a loving, thoughtful, loyal and generous person with a great sense of humor. I am saying: Good-bye! I will see you again in Heaven! Thank you, dear Betty, for taking time to read this letter. Sorry to hear of your loss, Maria! Several words touched my heart, and especially the respect you had for this man of God, as well as his children.